An ideal village: but many village ponds have been lost to neglect or "development". Learning how to make a pond will do far more than giving the dogs an extra large water bowl and paddling pool. Ponds used to be a symbol of rural tranquility but many have fallen into neglect, leaving the two thirds of all freshwater species that they support at risk. David Tomlinson investigates the important work of the Freshwater Habitats Trust and learns exactly the best way to make a pond. If you already have a pond and want to bring some small-scale architectural grandeur to it, read luxury duck houses: fabulous for fowl. Dabbling ducks, darting dragonflies and drinking carthorses – the image of the village pond is one of rural tranquillity. Sad to relate, of the multitude of ponds that existed in Victorian times, thousands have been lost through development, drainage or neglect. Of those that survive, many are polluted, the ducks outnumbered by beer cans. It’s a similar story on farms, as the traditional pond lost its purpose when tractors replaced the horses. Many ponds are still cherished but just as many have fallen into neglect. Step in the charity Freshwater Habitats Trust, which in 2008 launched its Million Ponds Project. If you think creating a million ponds sounds optimistic, you may be right. However, the Freshwater Habitats Trust’s aim is to reverse a century of pond loss and to ensure that the UK has more than a million countryside ponds once again. The first phase of the project, which ran from 2008 to 2012, saw over 1000 ponds created for around half of the 105 rare and declining pond species that are a national priority for conservation action under the UK Government’s Biodiversity Action Plan. To make a pond that is healthy requires clean water if it is to support a wide range of flora and fauna. If you make a pond to run-off from roads spells disaster as does an excess of nitrates from farm fertilisers. Both are major contributors to pond loss. The Freshwater Habitats Trust is concentrating on creating “clean new ponds” as this is, to use the charity’s own words, “one of the simplest and most effective ways to protect freshwater wildlife”. By all means restore old ponds if you want to, but they can be difficult to clean and manage, so it’s generally easier to start with a fresh new site and make a pond of your own. 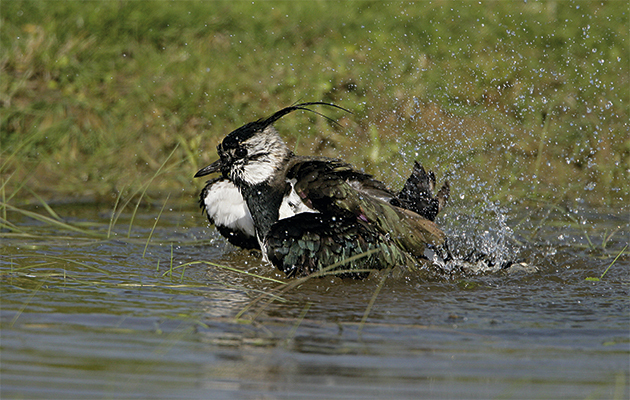 Should a lapwing grace your pond, you’ll know you’re doing your bit for biodiversity. The Freshwater Habitats Trust certainly has the ability to get things done. 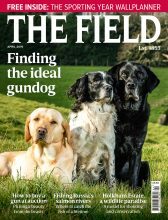 For a start, it is well aware that it can hardly reach its ambitious targets unless it works with a host of other countryside organisations and agencies. So it’s co-ordinating pond construction work by the Environment Agency, the RSPB, the Forestry Commission and Defence Estates, among others, while its own funding is being provided by The Tubney Charitable Trust, Natural England and the Countryside Council for Wales. The Trust’s co-founder and Director, Dr Jeremy Biggs, is keen to emphasise that anyone with even a small patch of land can help the project and make a pond, while pointing out that construction is relatively easy and inexpensive. Downloadable factsheets on the organisation’s website explain exactly what you need to know before getting out the spade or booking the digger if you want to make a pond of your own. If you want to make a pond, you must first choose the site. Perhaps surprisingly, the last thing you want is a stream running into the site, while a ditch is just as bad, for both are likely to bring pollutants with them. Instead, choose an area in rough grassland, heath or wood where there’s little risk of run-off. By far the best sources of water are groundwater, or rain- and surface water draining from areas where there’s no farming or human activity. You can make a pond create a new pond near a stream, but don’t link it directly. There are, of course, numerous other aspects to think about when selecting the site to make a pond on, some of them obvious, others less so. It doesn’t make sense to dig a pond in an existing marshy corner if it already supports a colony of orchids or attracts snipe in the winter. And consider the archaeology of the site – check with your county archaeologist if in any doubt. 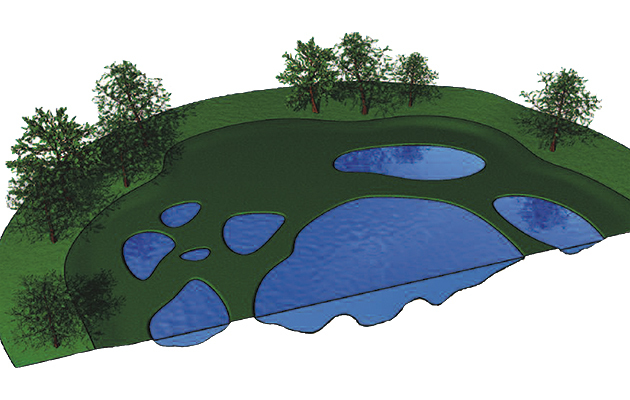 When you make a pond, design is almost as important as the water source. The last thing you want to do is dig a deep hole, as shallow water and the pond’s margins are by far the most important areas for wildlife. Steep slopes are to be avoided if you make a pond: ensure that the banks have no more than a five-degree gradient. Do, however, allow for the fact that water levels vary during the year, with most ponds having a 30cm to 80cm variation between spring and autumn. This is part of the natural cycle, and those muddy margins may well attract a passing green sandpiper in autumn or even a wandering water rail. Another point to take into account when you make a pond is whether to dig one big pond or several smaller ones, perhaps with a larger, deeper pool in the middle. The second option would create a much more interesting and varied habitat. If this pond complex can be linked with marshy ground, so much the better. Also, remember that when digging a pond the underwater topography is important. Shoals and ridges are far more valuable than a uniform depth and flat bottom. 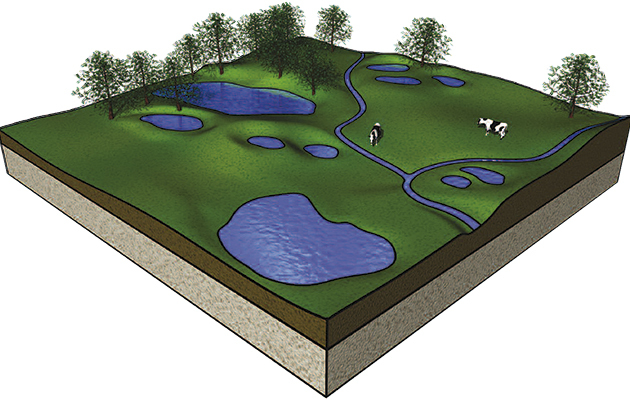 Ponds can be created near streams and other watercourses but a direct link should be avoided. Perhaps surprisingly, legal red tape is unlikely to be too much of a problem if you choose to make a pond. However, digging ponds on flood plains does require the consent of the Environment Agency, whose main concern will be that the excavated spoil doesn’t cause an obstruction to the movement of floodwater. If your proposed pond site is within or close to an SSSI, you will need to check with Natural England, the Countryside Council for Wales or the local planning authority. Don’t forget, either, to liaise with your neighbours before you make a pond if it adjoins their land and could possibly affect the hydrology or drainage of their ground. Though planning permission isn’t generally required for small conservation ponds, it’s a different matter if the excavation requires major engineering work with heavy machinery, or if there is to be a change of land use (such as switching from agriculture to nature conservation). It’s essential to check with your local planning officer at an early stage. Authorities all have their own local guidelines, so there are no hard rules here. Volunteers can easily dig small ponds with spades, though disposing of the spoil can be a problem. For larger ponds or pond complexes machinery is essential, and there’s plenty to choose from. For serious work, the best choice is a tracked excavator but the skill of the operator is just as important as the power of the machine. Many contractors are more used to digging ditches or farm reservoirs with straight edges, so might not grasp what you want unless you explain carefully. If you can work with a specialist constructor of conservation ponds then your task will be much easier. Small details, such as ensuring that no topsoil is left in the pond or used for the margins, are essential for success if you want to make a pond. Thanks to the use of liners, it’s possible to create a large pond – even a small lake – on sandy or free-draining soil. However, the use of liners goes against the Million Ponds Project’s rationale, which aims to put ponds into our landscape in the most cost-effective and sustainable way. The trouble with lined ponds is that not only are they more expensive to construct, they are also prone to damage and cannot be modified at a later date. Once you have dug your pond, sit back and watch natural colonisation take place. There’s no need to import plants or introduce fish. Ponds attract natural colonisers remarkably quickly, and within just two or three years a new pond, naturally filled with clean water, can be as rich in life as one that is 50 years old.  The reason is that aquatic wildlife – both flora and fauna – is highly mobile. It has to be; otherwise much of it would have died out years ago. Create complexes of ponds with different depths and surface areas – this will increase the range of wildlife attracted to the site, and provide habitats in all climate conditions. However, do watch out for alien invaders such as New Zealand swamp-stonecrop, parrot’s feather, water primrose and floating pennywort, all of which can out-compete native vegetation. Elimination is possible as long as the problem is dealt with at once, but if these undesirables are allowed time to establish themselves it will be extremely difficult to get rid of them. There’s only one native to watch out for, and that’s bulrush. This species has the ability to fill a new pond before other plants have had a chance, so some judicious rush-pulling in the early years may be necessary. If animals graze around the pond, temporary fencing may be necessary. However, as long as the pond is shallow it won’t be a threat to the livestock, while trampling pressure, even deep hoofprints round the margins, will do no harm. Invasions of semi-tame mallard shouldn’t be encouraged, as they will prevent natural colonisation. In contrast, visits by teal or (in southern woodlands) mandarin will confirm that the pond has been accepted as part of the natural landscape. Once you have completed your pond, register it online with the Freshwater Habitats Trust. To qualify, the pond simply needs to have a clean water source and be left to colonise naturally and allowed to thrive without undue disturbance. Among the UK BAP (Biodiversity Action Plan) species associated with ponds are no fewer than five species of stonewort: dwarf stonewort, for example, can be helped by scraping shallow pools in peat. Many species of plants and insects favour shallow ponds that dry out in the summer. One of these specialists is the oxbow diving beetle that likes extremely shallow and temporary pools in unimproved pasture. In contrast, great crested newts like medium-sized pools with ample aquatic vegetation. Five species of BAP bats like ponds, including the rare Bechstein’s bat. BAP birds include the rapidly declining yellow wagtail, along with reed bunting, lapwing and Bewick’s swan. If you manage to attract a family of Bewick’s a celebration is in order. For more information on how to make a pond and the charity’s work, visit the Freshwater Habitats Trust’s website.